A dog owner has issued a warning after her puppy nearly died from eating a box of liqueur chocolates from under the Christmas tree. Suzanna Dixon was Christmas shopping when her inquisitive young pooch, Narla, who was just nine months old at the time, tore open a gift wrapped box of chocolates that had been left under the tree. Mother-of-four, Suzanna (32), returned to her home in South Shore, Blackpool, to find a scene of carnage. She said: “When I walked through the door my first thought was ‘we’ve been burgled!’ as there was torn up wrapping paper everywhere, but then I saw Narla with the nearly empty box of chocolates. 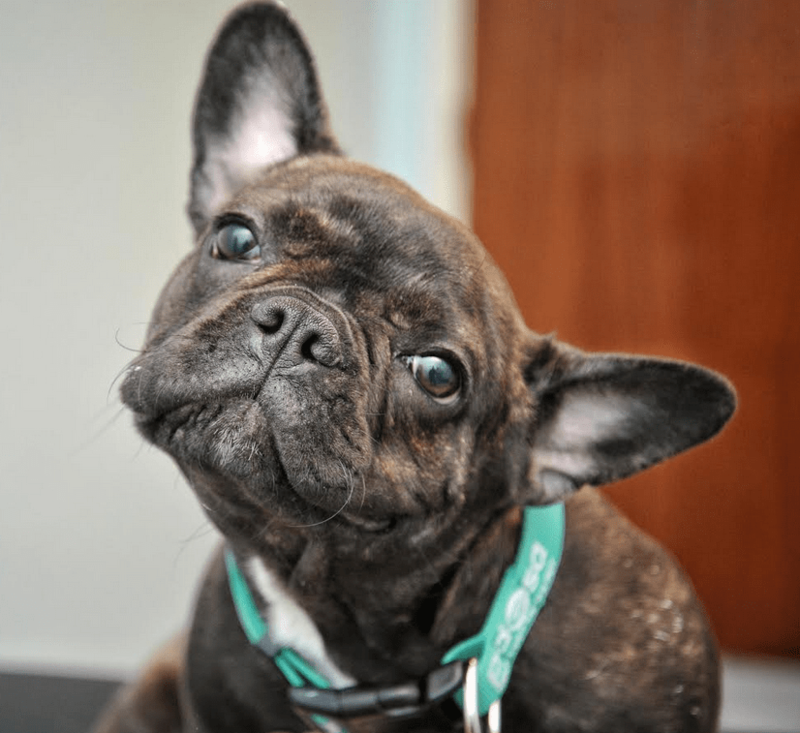 Vets at Blackpool PDSA Pet Hospital rushed Narla in immediately, and gave her drugs to induce vomiting in a bid to flush her system of the chocolate. She’s also one of thousands of lucky pets to benefit from PDSA’s A&E service which receives funding from players of People’s Postcode Lottery. PDSA vet, Terry Ogdin, said: “We estimated that Narla had eaten around 200g of chocolate, which is an extremely dangerous amount for a dog of her size. “Thankfully she was brought in very quickly and we were able to treat her before the chocolate had a chance to digest. Chocolate contains a chemical called theobromine, which is toxic to dogs. Signs your pet may have eaten chocolate can include excessive thirst, vomiting, diarrhoea, a tender tummy and restlessness. These can then progress to tremors, an abnormal heart rhythm, raised body temperature and rapid breathing. In flat-faced breeds like Narla, which often struggle with breathing issues, these symptoms can be exacerbated. In severe cases, chocolate poisoning in dogs can cause fits and even death. The higher the cocoa content of the chocolate, the more dangerous it is, so dark chocolate poses the biggest risk to pets. Suzanna wants to warn other pet owners about the dangers of chocolate to pets. She said: “Not only did Narla eat a huge amount of chocolate, but they were also liqueur ones so the alcohol made it even worse. If owners suspect their dog has ingested chocolate, they should call their local vet immediately and let them know the type of chocolate, the quantity and likely time of ingestion. PDSA is also warning pet owners about other festive foods that can be toxic to pets, including alcohol, grapes, sultanas, onions and garlic. Vets advise owners to store chocolates and other poisonous foods in the same way as medicines when they have pets in their household – safely and securely. And for those who can’t resist giving their four-legged friends a little Christmas treat, a new toy or a nice long walk is a better alternative than treats.